Taipei, April 3 (CNA) The Cabinet approved draft legislation Thursday aimed at strengthening the oversight of future agreements with China, amid criticism of a lack of transparency surrounding the signing last June of a trade-in-services agreement across the Taiwan Strait. 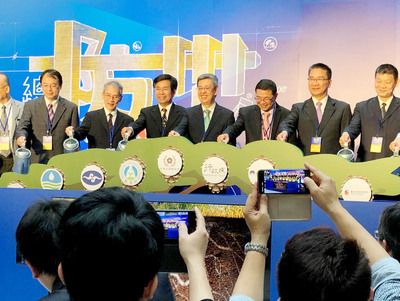 The "Statute for the Processing and Monitoring of Agreements between the Taiwan Area and the Mainland Area," proposed by the Mainland Affairs Council (MAC), will now be sent to the Legislature for further action. The draft seeks to establish a so-called "four plus two" mechanism. "Four" indicates that monitoring of any agreements with China must be done in four stages: when there is a call for an agreement to be signed; when Taiwan and China conduct negotiations on a proposed agreement; in the period just before signing; and in the period just after an accord has been inked. In all four stages, the draft legislation stipulates, briefings must be held for lawmakers, opinion leaders and media, as well as those whose interests might be affected by the proposed agreement. Public hearings will be held after a proposed agreement has been cleared by national security agencies as posing no risk to Taiwan's security. The "two" refers to the review of any agreement by the Executive Yuan and the national security apparatus prior to signing. The Cabinet's proposal will be considered in the Legislature along with eight other versions of the legislation, including one introduced by opposition Democratic Progressive Party Yu Mei-nu on behalf of activists who are protesting against the trade-in-services agreement. According to MAC Minister Wang Yu-chi, before drafting its own version, the MAC had referred to the proposal and found that some of the proposed provisions do not match the principles of the Republic of China Constitution. These include one that would require the executive branch to obtain the legislative branch's approval before negotiating an agreement with China, a procedure similar to the "fast track negotiating authority" granted by the U.S. Congress to their president to negotiate international trade agreements, Wang said. Such a procedure has been used on some occasions in the United States because there, the authority to regulate trade is constitutionally vested in Congress, unlike in Taiwan, where the authority lies with the executive branch, he pointed out.